Dealt is a documentary about 62 year old Richard Turner. 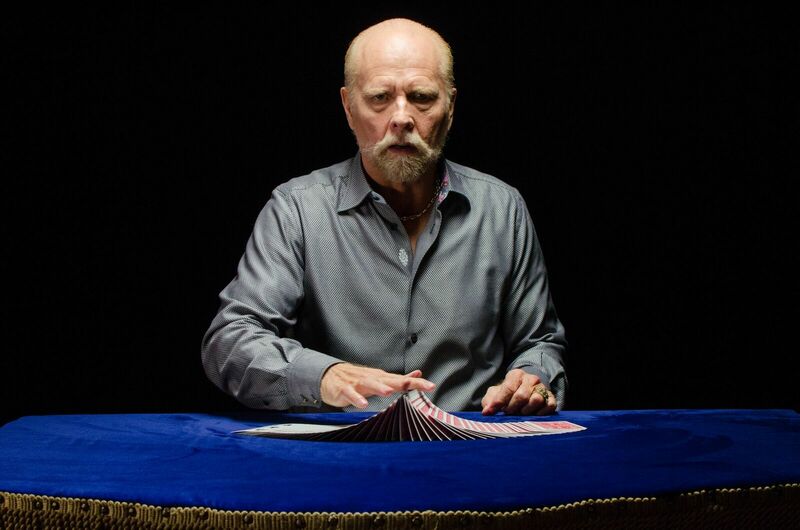 Richard Turner is a blind card magician. Although he doesn't consider himself a magician, he calls himself a card mechanic. He's able to control the outcome of a card game. He wants to be known for being a great trickster card player. He doesn't consider himself to be disabled. He got a black belt in karate, and when the newspaper posted an article about it and the headline read that a blind man received a black belt, he was sad. He wants to be recognized for his achievements alone, and not for the fact that he's blind. He wasn't born blind, but became blind as a young boy. He says his hands and fingers can feel things that other people can't. He says it's hard for people to believe he's blind because how are the card tricks he does possible? What was even greater, was at the screening I went to, Richard Turner was there and he performed for us. It was amazing to see him in action, and it really just blows your mind! I really don't know how the things he does with the cards are possible. Maybe he has a sixth sense of sorts. Prior to seeing this film, I had never heard of him before. I'm so glad that I saw it and now am made aware of him. I highly recommend everyone see this documentary and if Turner is scheduled for a screening in your city, definitely go.